The end of the Great War in 1918 may have seen the avant garde entering late Cubism or dabbling with Dada, but there were still many significant and wonderful artists with styles that owed more to the previous century. In this second look at some of my favourite paintings from a century ago, I show those which use more traditional means of expression. In Japan, there were two main schools of painting, the novel, which was derived from Impressionism and other European styles, and the traditional or nihonga. Gyoshu Hayami (速水 御舟) trained in traditional techniques and was a founding member of the Japan Fine Arts Academy, which was restricted to nihonga style. 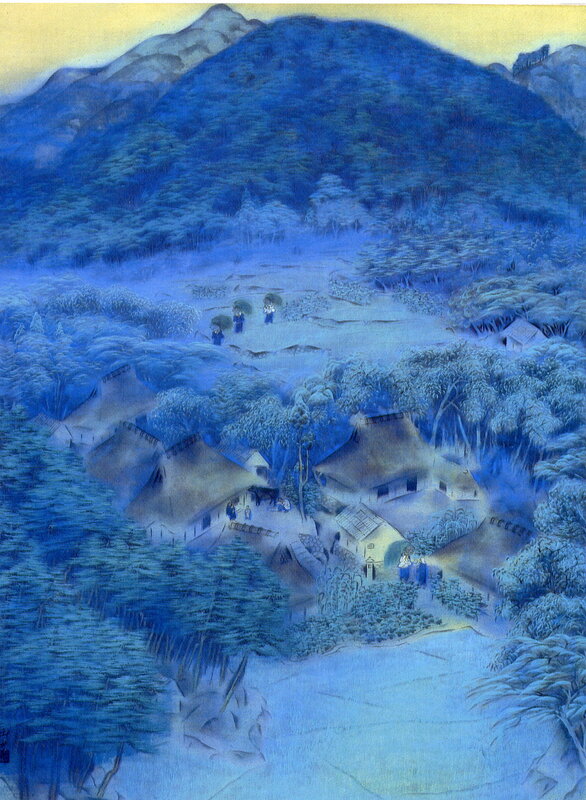 Village in Shugakuin shows his skills working in ink and color on silk. Later in his career he became more realist, and even tended towards Symbolism before his sudden death from typhoid fever at the age of only 40. 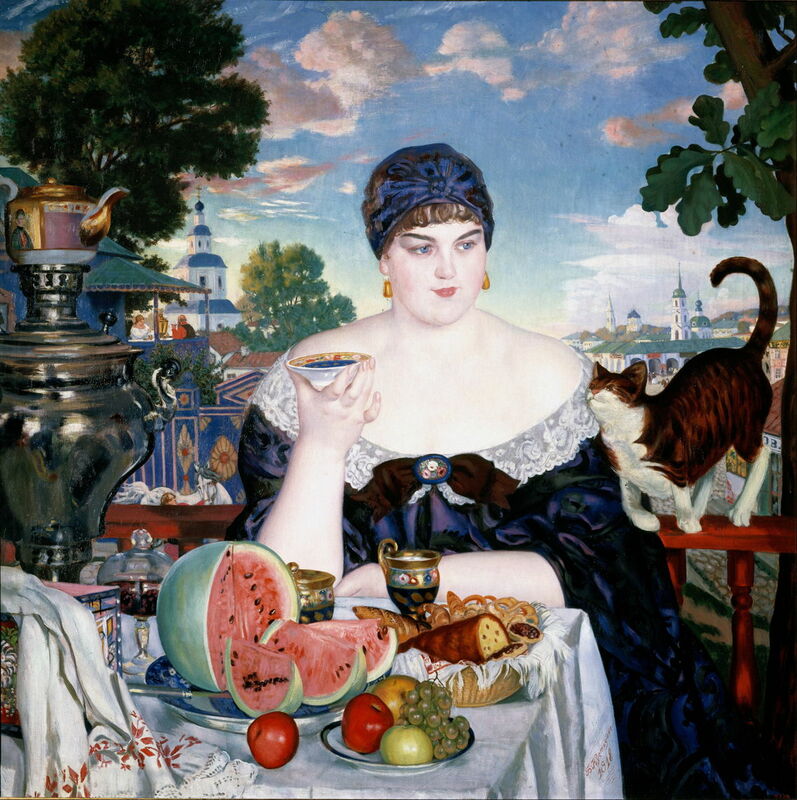 Boris Kustodiev (1878–1927), Купчиха за чаем (Merchant’s Wife at Tea) (1918), oil on canvas, 120 x 120 cm, State Russian Museum Государственный Русский музей, Saint Petersburg, Russia. Wikimedia Commons. Boris Mikhaylovich Kustodiev (Бори́с Миха́йлович Кусто́диев) also adhered to older style. His Merchant’s Wife at Tea is a remarkable achievement for someone who had become paraplegic in 1916, as a result of tuberculosis of his spine. 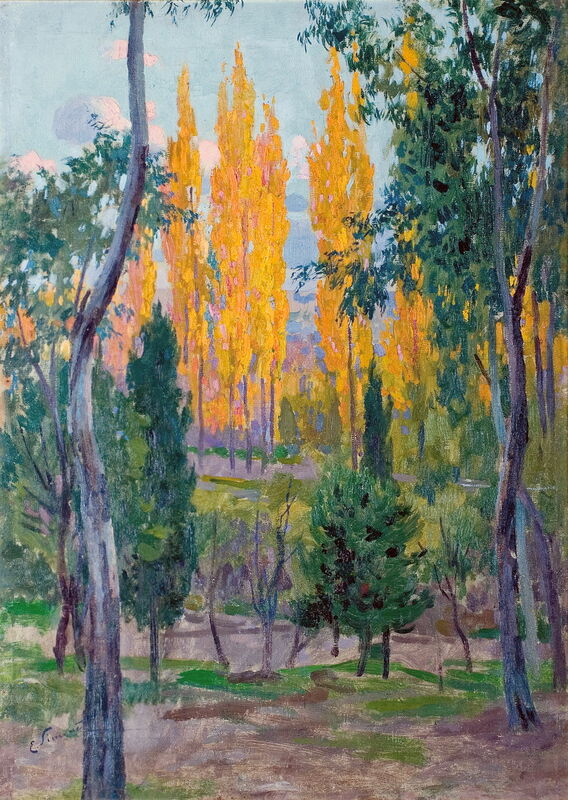 He also survived the Russian Revolutions of 1905 and 1917, which if anything enriched his painting. 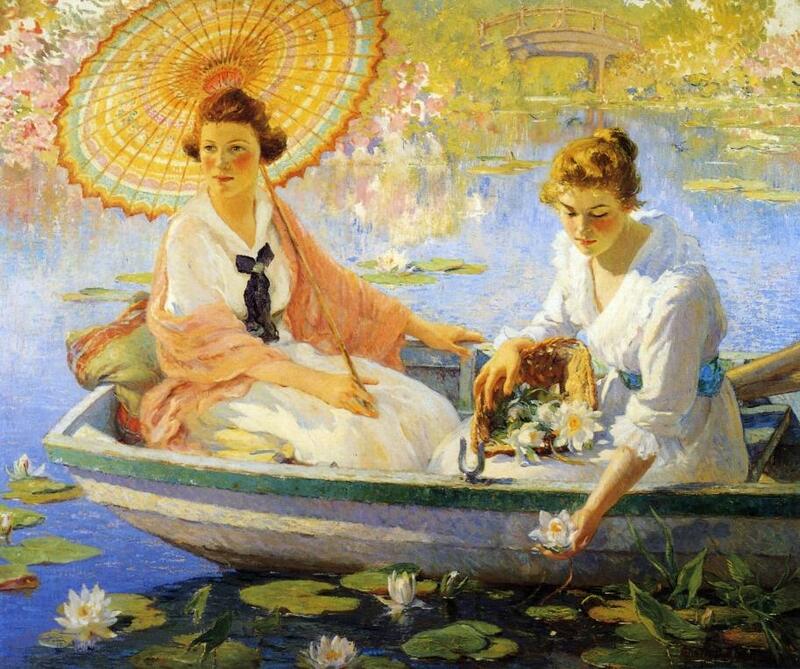 Colin Campbell Cooper had established his reputation in his paintings of skyscrapers and cityscapes on the East Coast of the USA around the turn of the century. He appears to have been inspired by Japonism on the West Coast in his Summer, which is also influenced by Claude Monet’s paintings from his garden at Giverny in France. After many years painting brilliant narrative works, Enrique Simonet started to concentrate on painting the landscape of Spain. Otoño en la Dehesa (Autumn in the Dehesa) shows the brilliant colours of foliage in a landscape characteristic of southern and central Spain and Portugal (where it is known as montado). The Dehesa is a mixed, multifunctional area providing grazing for cattle, goats, sheep and pigs, mixed trees centred on oaks, and supports many endangered species such as the Iberian lynx and Spanish imperial eagle. 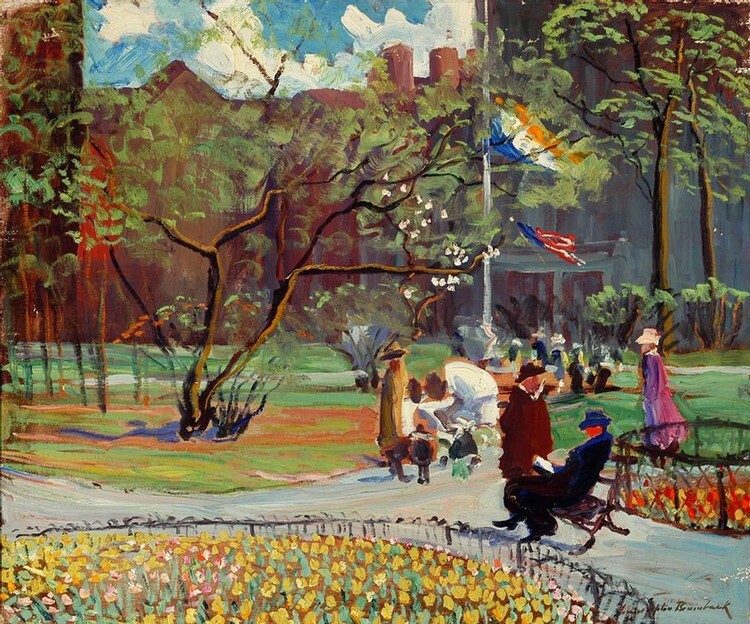 Louise Upton Brumback (1867-1929), May Day, Boston (1918), oil on canvas, 64.8 x 76.2 cm, Private collection. Wikimedia Commons. Louise Upton Brumback had been one of William Merritt Chase’s students at the turn of the century, and was then rated as one of the best women painters of the day, frequently attracting critical acclaim. I love her rich colour contrasts and vigorously-brushed foliage in May Day, Boston. Julian Onderdonk (1882–1922), Road to the Hills (c 1918), oil on canvas, 76.2 × 101.6 cm, Dallas Museum of Art, Dallas, TX. 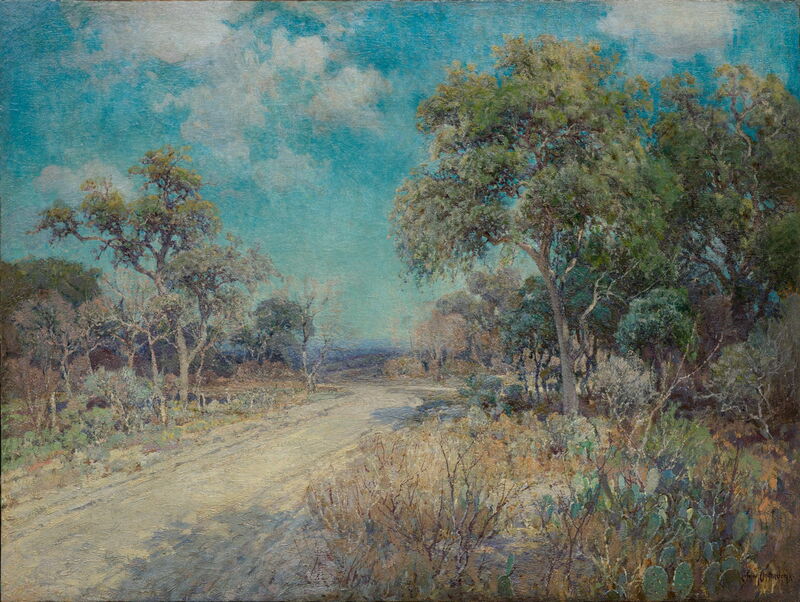 Best-known for his many gorgeous paintings of Bluebonnets in his native Texas, Julian Onderdonk was at the height of his powers and career. Road to the Hills shows how well he could depict the shimmering light, heat, and textures of the arid countryside, an environment which most painters avoided because of its harshness. 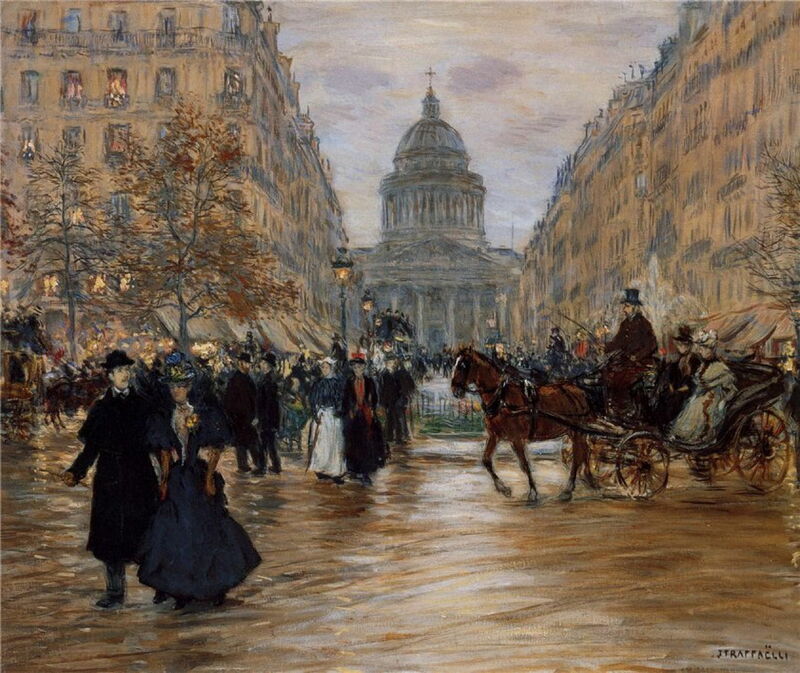 Jean-François Raffaëlli (1850-1924), Boulevard Saint Michel (1918), further details not known. Wikimedia Commons. Back in Europe, Jean-François Raffaëlli was painting Paris street scenes in rather looser style, such as his Boulevard Saint Michel, which is in the Latin quarter near the Sorbonne and Luxembourg Gardens. Raffaëlli was a friend of Degas, but his work was rejected by Monet and others at the time, and has since been largely forgotten. 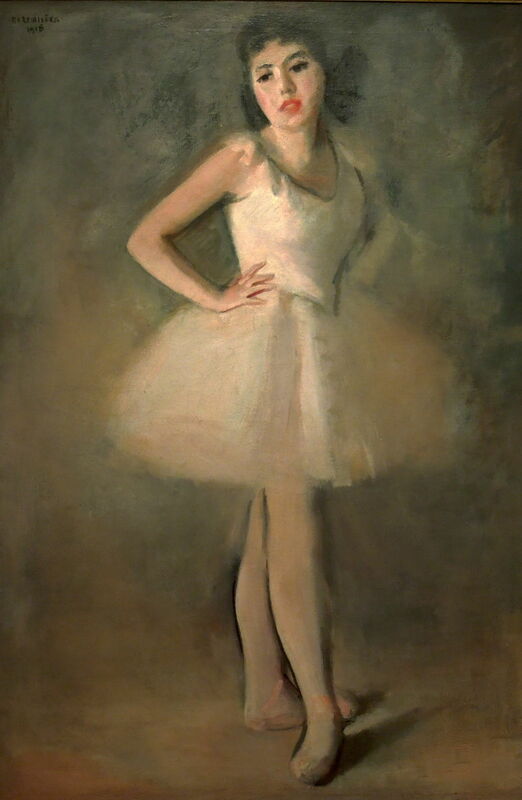 The Czech artist Rudolf Kremlička was influenced by Degas and his favourite motifs. His Dancer is reminiscent of the young girls painted by Degas, and Kremlička painted several works showing women bathing and at their toilet, although in much more modern style, more similar to some of the nudes by Matisse. I’d like to end this small selection with two Norwegian painters who have relatively recently been ‘rediscovered’. 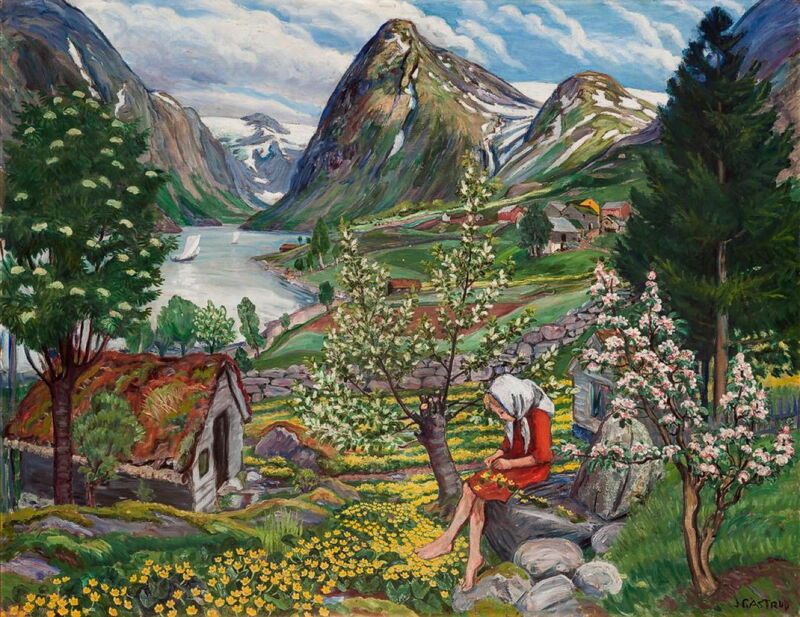 The first is Nikolai Astrup, whose paintings and prints capture so well life amid the pastures between the rugged Norwegian uplands and the huge fjords. Astrup’s woodcut prints are something really special. 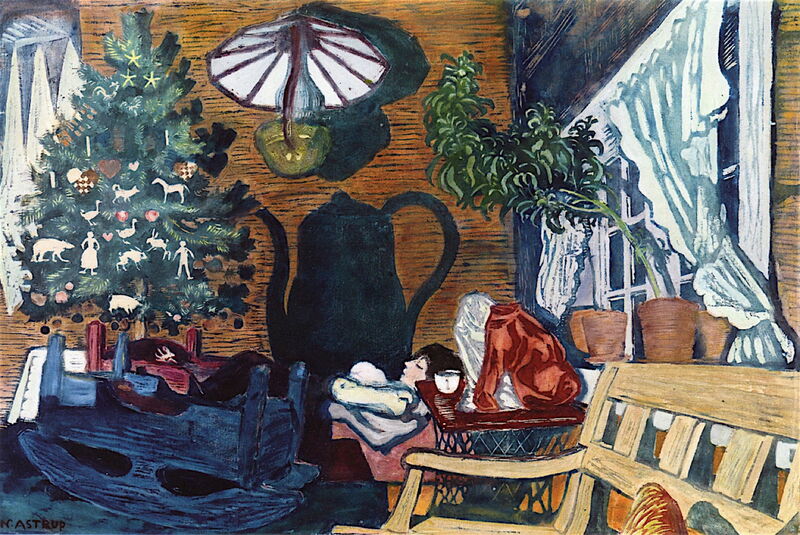 In Christmas Eve at Sandalstrand he shows his wife and young son asleep in their home, surrounded by the traditional decorations of the festival. Not only did Astrup derive his prints from paintings, but he reversed the process and used his prints to develop his paintings. 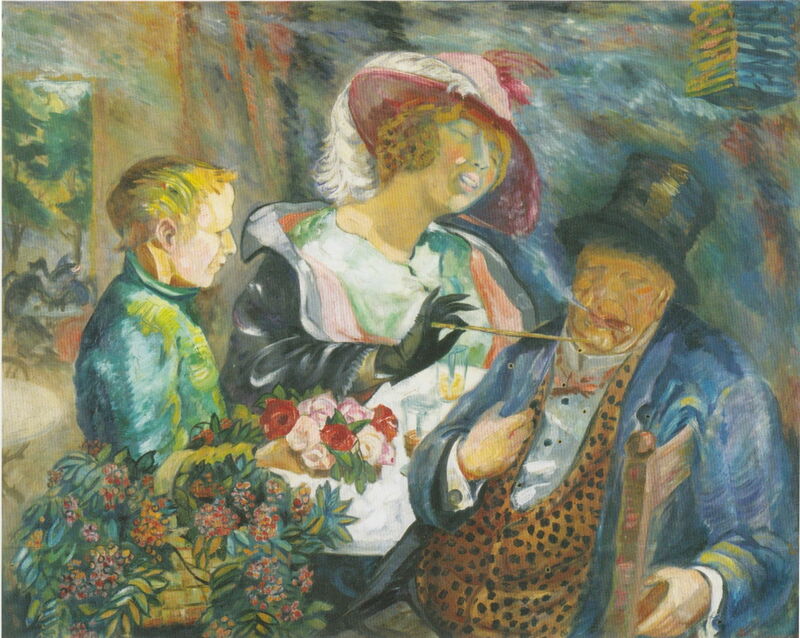 His oil painting of Kari – Motif from Sunde shows an elfin figure of a girl who seems to have come from an illustration, or perhaps one of Carl Larsson’s popular albums of ‘family life’. Another prolific Norwegian painter of the day was Aksel Waldemar Johannessen, who remains almost unknown outside his native country, not even meriting an English Wikipedia page yet. 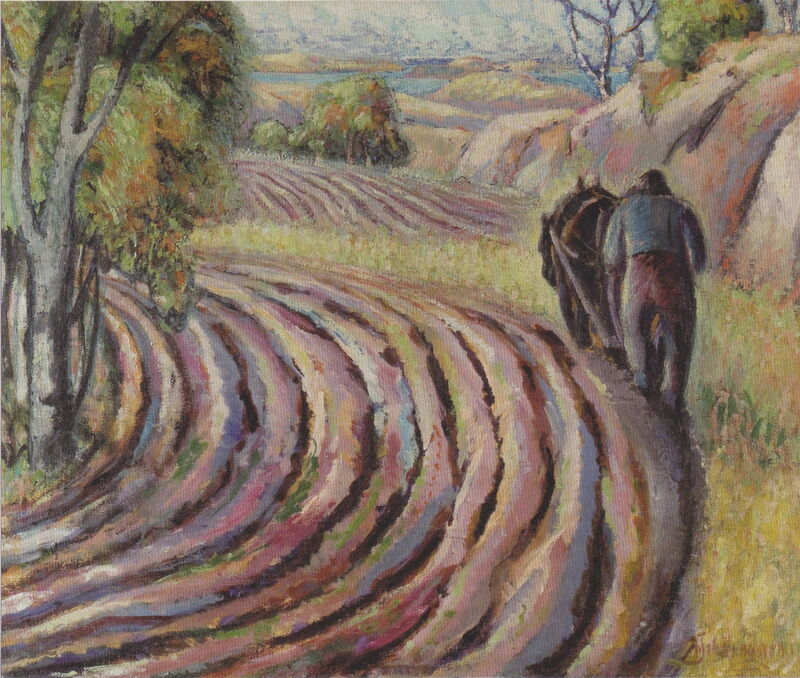 Towards the end of the First World War, Johannessen turned more to painting rural scenes, such as this of Ploughing in the Spring. A single farmer with a plough hooked up to a single horse would have been typical of the small scale of many of the farms at the time. 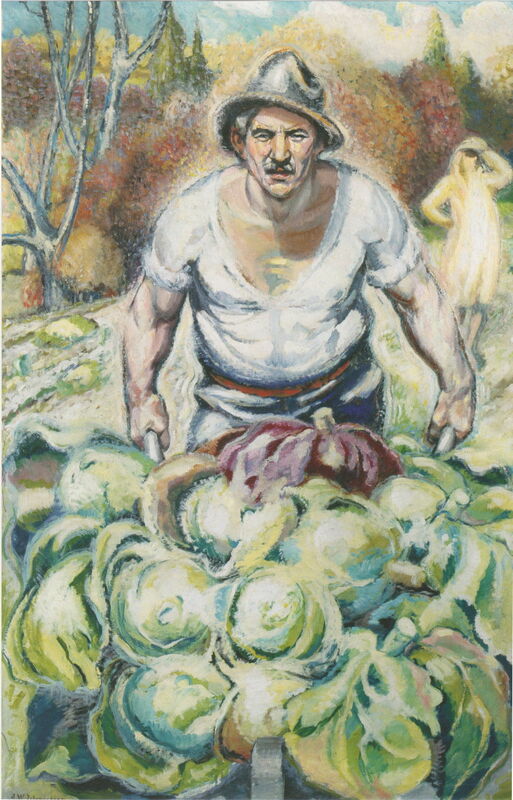 Peasant with Cabbages, also known as Peasant with Cauliflowers shows a farmer with a wheelbarrow full of either cabbages or cauliflowers. His face is closely observed, and magnificent in its detail. Behind and to the right of him, though, is what appears to be a well-dressed young woman, who doesn’t look entirely human. He was also heavily involved in the design of Norwegian folk dress, and in the Norwegian Theatre (Det Norske Teatret) in Oslo, which had only been founded in 1912. After the Performance shows an actor being congratulated following a production. Posted in General, Life, Painting and tagged Astrup, Brumback, Cooper, Hayami, Johannessen, Kremlička, Kustodiev, Onderdonk, painting, Raffaëlli, Simonet. Bookmark the permalink.